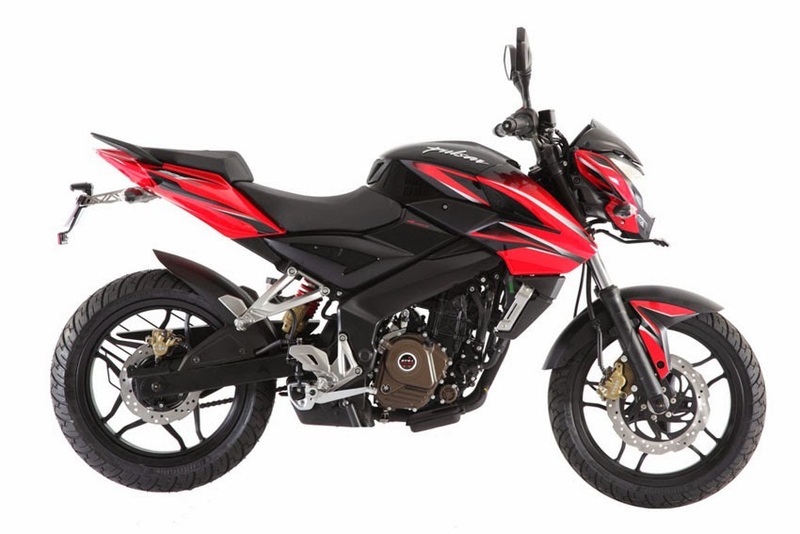 Bajaj Auto has launched the Pulsar 200NS with new range of dual-tone colours. The new range is all set to re-define the sporty & sought-after design of the Pulsar 200NS. ebony black and three dual colors - passion red and ebony black, safire blue and ebony black and for the first time ever in Pulsar - metallic white and ebony black. "The Pulsar is India's No. 1 sports bike for more than a decade now. We will continue to excite customers with new technology, unique features, class leading performance and of course on the styling front. The Pulsar 200NS is an absolute stunner when it comes to looks and the new dual-tone will further enhance the sportiness of the bike. The vibrant dual-tones are fresh and appealing in cosmetic terms, and make the bike look all the more attractive. We are confident that the new avatar will appeal to the new age biker, who is seeking a bike that not only offers great technology, but also unparalleled aesthetics," said Sanjay Saraswat, Vice-President (Marketing), Bajaj Auto. The technological specs and features offered by the Pulsar 200NS with new colours have not changed.